A recent article from the Okinawa Times which may be of interest to readers. 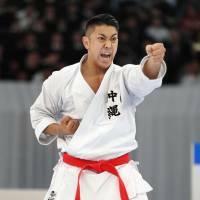 The first international tournament for Okinawa style karate is scheduled for August, and expectations are growing that the martial art will become even more popular at home and abroad. A future vision for the martial art, crafted by the Okinawa Prefectural Government, local karate organizations and the business circle, presents aspirations for the style over a 20-year time scale based from the hopes of local people, and proposes a range of possible measures to be taken to improve its preservation and promotion.